The types of activities we take part in weekly are games, craft, team building exercises, more games ... and basically have fun! As well as our weekly nights we also take part in competitions / camps and much more. 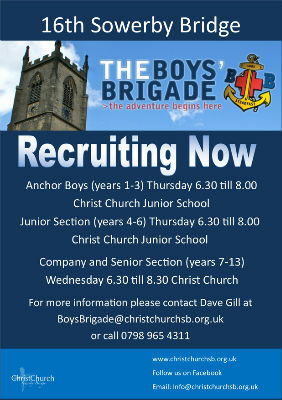 Anchor Boys and Junior Section meet in Christ Church Junior School, Park Road on a Thursday evening between 6:30 and 8:00.